FOR SALE: CONSENTED GROUND-FLOOR DEVELOPMENT FOR SALE. BOLD FREEHOLD SHOP PREMISES (1038 SQ. 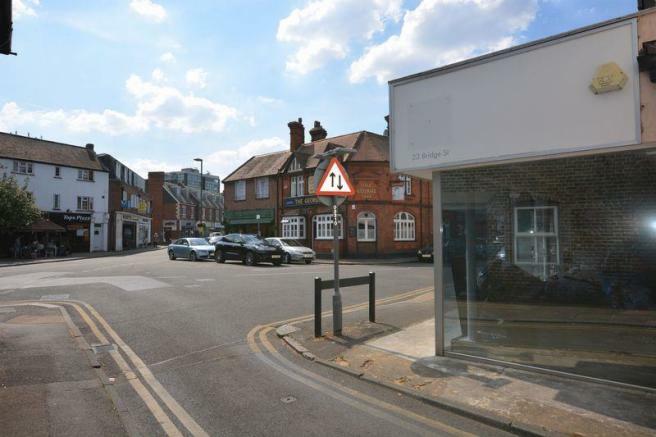 FT. 96.5 M2) IN THE HEART OF THE WALTON-ON-THAMES CONSERVATION AREA WITH CONSENT FOR RESIDENTIAL USE TO PROVIDE 2 GROUND-FLOOR FLATS VIA A SINGLE? STOREY FRONT EXTENSION INCORPORATING BAY WINDOWS AND ALTERATIONS TO FENESTRATION . AVAILABLE WITH FULL VACANT POSSESSION. 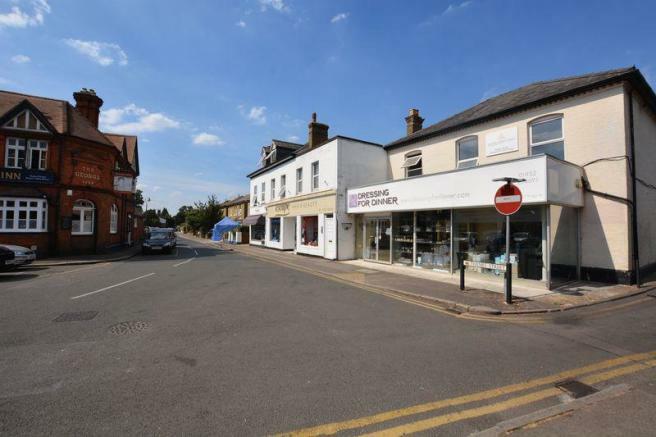 Forming part of the thriving Walton conservation area of supporting shops, cafes and destination retail and within a short stroll of the Marks and Spencers food hall in a desirable Surrey commuter town. Bridge Street is adjacent to High St Walton and therefore yards from the chain retailers, banks and pubs, restaurants and supporting professional services and provides easy access to the M3, M25, Heathrow and City Centre. upper floor offices have been sold on a 999- year lease at a peppercorn ground rent. FREEHOLD FOR SALE: Bold return-fronted shop extending to some 28’ located in the desirable Walton conservation area. Residential Use: please visit http://www.elmbridge.gov.uk/planning/find-application for details. Consented drawings enclosed. 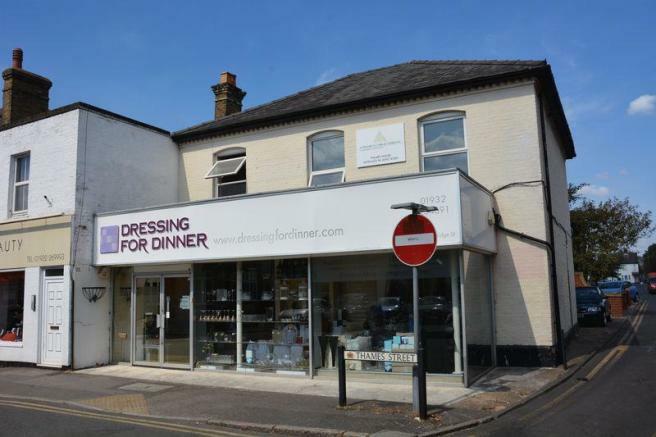 SALE PRICE: £345,000 for the freehold interest with the benefit of planning consent. VIEWING: Strictly by appointment with the owner’s joint agents Miles & Bird. Call us on 020 3875 3875 to arrange an appointment to view. Disclaimer - Property reference 8957845. The information displayed about this property comprises a property advertisement. Rightmove.co.uk makes no warranty as to the accuracy or completeness of the advertisement or any linked or associated information, and Rightmove has no control over the content. This property advertisement does not constitute property particulars. The information is provided and maintained by Miles & Bird, East Molesey. Please contact the selling agent or developer directly to obtain any information which may be available under the terms of The Energy Performance of Buildings (Certificates and Inspections) (England and Wales) Regulations 2007 or the Home Report if in relation to a residential property in Scotland.